Earlier this summer, Jack described Sheila Beach’s EP Walk Home as “100% Peterborough, ON” and lauded it for its deliciously lo-fi production, and messy pop-punk vibe. If Sheila Beach is for the walk home after a night out in Peterborough, Prime Junk’s Sunnyvale is for the morning after. Like the sand at Sheila Beach, Prime Junk is coarse. 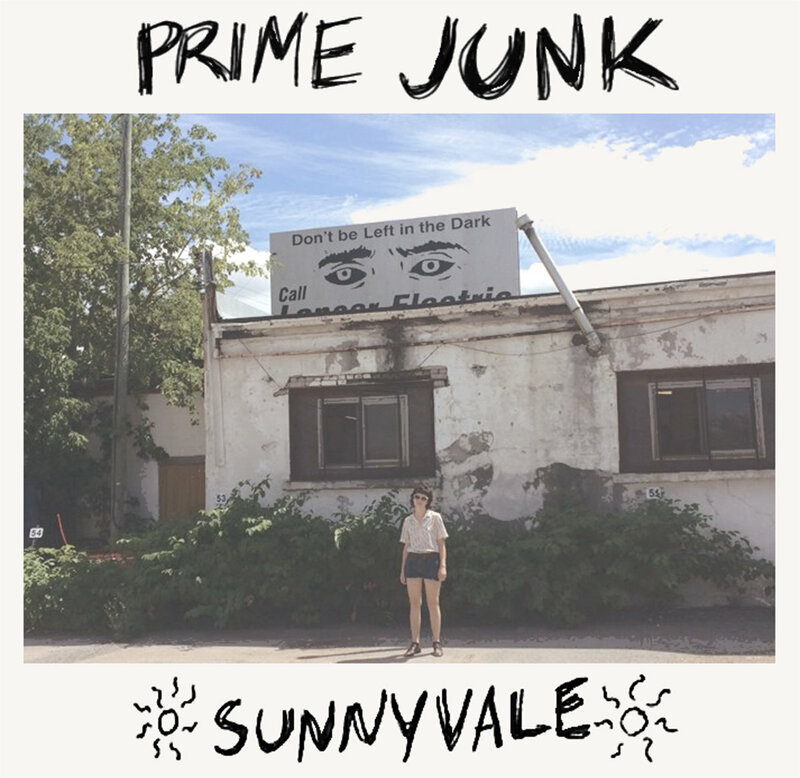 Sunnyvale sounds like it was recorded in a dryer at the Wash-O-Mat or after too many nights in a row at the Pig’s Ear. It’s wonky pop-punk that has been washed by the summer sun and is a direct, unfettered line from the heart of Ms. Junk. After a dip in the polluted “Ocean” and a ride on its back to pass the time (“Surf Brat”) Sunnyvale ends on an experimental note. “Why Not” – a collaboration with Nick Papi – is a dark, drone-y track that finds a ghost-like Junk floating above a pulsating synth. Whether it’s the result of two friends messing around or a sign of where Prime Junk is going, it’s an entrancing EP closer. The identity of Prime Junk (the self-proclaimed “LORD OF THE TRASH”) remains a mystery but her feelings and fierceness do not.